The Colorado River and its tributaries flow through the Great Basin, the Sonoran and the Mojave deserts, providing a vital lifeline to the arid American Southwest. These rivers are also responsible for carving some of the most spectacular natural wonders on the planet! Today the Colorado Basin offers the most diverse outdoor adventure and recreation opportunities in the U.S. The Colorado River is born at about 10,000 feet in the Rocky Mountains of Colorado and flows southwest for 1,470 miles to the Gulf of California (Sea of Cortez) in Mexico. It is the international boundary for 17 miles between Arizona and Mexico. Before the construction of a number of dams along its route, it flowed 80 miles through Mexico to the Gulf of California. The 1,360 miles of its route in the United States make it the nation's fifth longest river. It drains a large portion of the North American continent covering 242,000 square miles in the United States and 3,000 square miles in Mexico. The Colorado and its tributaries drain southwestern Wyoming and western Colorado, parts of Utah, Nevada, New Mexico and California, and almost all of Arizona. Three fourths of the basin is federal land devoted to national forests and parks and Indian reservations. The lower Colorado River separates two great deserts, the Mojave on the California (western) side and the Sonoran on the Arizona (eastern) side. The Gila River drains the Sonoran. 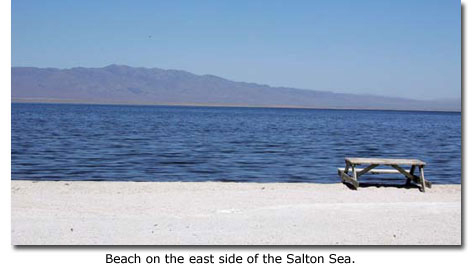 South of the Mojave Desert lies the Salton Basin, a large structural depression 235 feet below sea level, extending 150 miles northwest from the head of the Gulf of California. In 1905, floodwaters caused a levee to break on the Colorado River near Yuma; its waters rushed into the Salton Basin. This created the Salton Sea, about 70 feet deep, 50 miles long, and 15 miles wide, with a total water area of some 300 square miles. Since the break threatened the agriculturally rich Imperial Valley and a major railroad route, the levee was finally repaired in 1907, but the Salton Sea remains. The Colorado is also remarkable in its value for hydroelectric power and irrigation. Of its 9 1/2 million potential horsepower, one-fifth has been developed. More than 20 dams have been built on the Colorado and its tributaries, As a result, the river rarely reaches the Gulf of California. The Morelos Diversion Dam, located on the Mexico-Arizona border is the southernmost dam on the Colorado. It sends virtually all of the remaining water to irrigation canals in the Mexicali Valley and to the towns of Mexicali and Tijuana. The Colorado River system was the first drainage basin in which the concept of the multipurpose dam was employed. 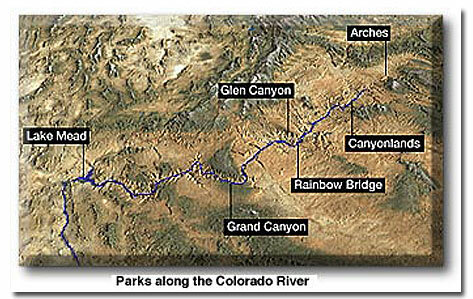 In 1922 the Colorado River Compact was concluded by the seven states that constitute its drainage area. The first major development began in 1928 when Congress passed the Boulder Canyon Project Act authorizing construction of Boulder (now Hoover) Dam. Construction of this dam was considered a major engineering accomplishment of its time. Since its completion in 1936, the Hoover Dam and Lake Mead, which it created with its impounded waters, have become major tourist attractions. Ute and Southern Paiute Indian tribes, now living in reduced numbers on reservations, hunted and gathered in the plateaus and canyonlands of the upper Colorado basin for centuries. In the lower basin, the largest prehistoric canal irrigation system in the American West was built by the Hohokam Indians on the Gila and Salt rivers. Yuman tribes practiced more extensive patterns of floodplain farming and hunting on the Colorado, which was too large and variable for canal irrigation. In the face of economic exploitation of the region by whites, and the resultant ecological changes, Indian groups have struggled to maintain vestiges of traditional lifeways with respect to the river. Europeans in North America explored the Colorado River early on, but upon discovering that it was practically useless for navigation, bothered with it very little. In 1539, Francisco de Ulloa reached the Colorado from the Gulf of California; in 1540, Hernando de Alarcon became the first European to sail up the river, while Garcia Lopez de Cardenas of Coronado's expedition discovered the Grand Canyon. In 1776, Fathers Silvestre Velez de Escalante and Francisco Atanasio Dominguez crossed the Colorado in Glen Canyon, while that same year Father Francisco Garces named the river "Colorado" because of its red mud. In 1857, Lieutenant Joseph C. Ives navigated the Colorado from its mouth to Black Canyon. 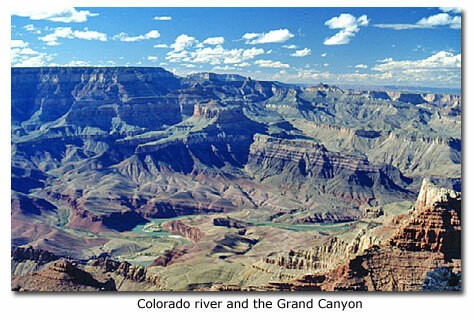 But it wasn't until 1869 that Major John Wesley Powell made the first trip through the Grand Canyon. He led an expedition by boat, recording and mapping his perilous journey. 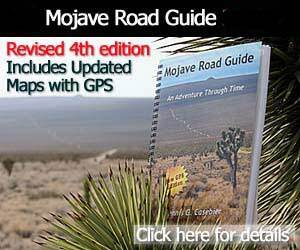 His journals are still in print and provide exciting reading for modern adventurers ready to rediscover the wonders of the desert Southwest. Explore by clicking the links below. The best place to start might be with the dams. Glen Canyon Dam Held behind the Bureau of Reclamation's Glen Canyon Dam, waters of the Colorado River and tributaries are backed up almost 186 miles, forming Lake Powell. The dam was completed in 1963. Take a look at this tremendous feat of engineering - the Glen Canyon Dam. Lees Ferry Due to the shale deposits which slope gently to the river here, Lees Ferry was the only place to cross the Colorado River for 260 miles until the Navajo Bridge was built across Marble Canyon in 1927. Join DesertUSA as we explore this historic site.